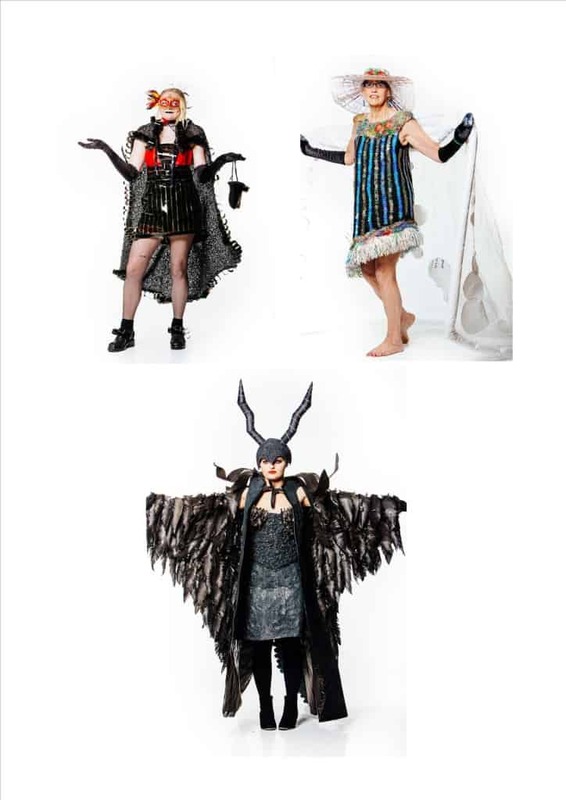 Months before Kaikoura’s annual fashion show, people start collecting the materials necessary for making the costumes: Trash. Kaikoura, on the eastern seaboard of the South Island of New Zealand, prides itself on its EarthCheck accreditation, which requires the community to operate at the highest level of sustainability. One of the key targets they have set is to become a Zero Waste to Landfill Zone by 2015. To do so, they have implemented a policy to stop collecting nonrecyclable waste and instead, they offer a weekly recycling pick-up service for free. To encourage recycling they developed learning material and factsheets for businesses, families, and students at schools. 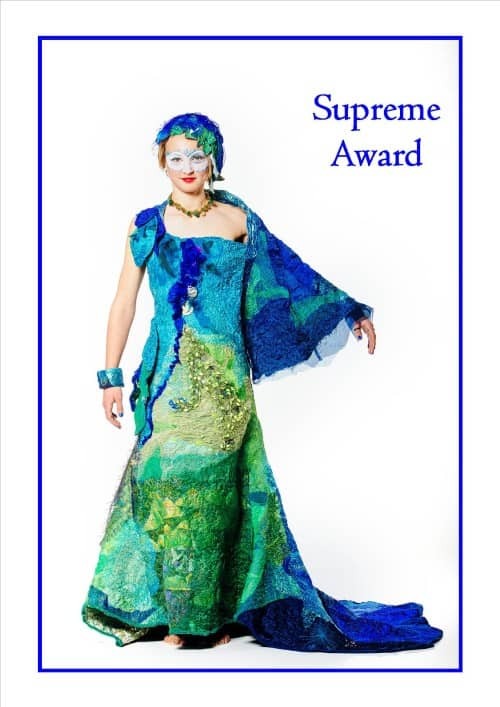 The Seaward Kaikoura Lions Club Recycled Trash Fashion Show is a key pillar of the strategy, providing a mechanism for community participation, building awareness, creating ownership and sharing knowledge. The show celebrates how local artists transform everything into garments, accessories, and gifts. Innovative Waste, the Resource Recovery Company which collects and recycles the town’s waste products, has recently become the principal sponsor. The show has been a major project of the Seaward Lions since 2001 and has raised a considerable amount of money for various community undertakings while promoting the re-use and upcycling of many materials that, in other communities, would become part of the trash. As the name of the show indicates, the costumes are all created from recycled materials, ranging from such things as plastic diaper bags, crisp packets, wine corks, old photographs, bras, car parts, seat belts and just about anything which would otherwise be thrown out in the trash! Innovative Waste Kaikoura is a wonderful source of materials for the costumes, and one of the categories in the last show, called ‘Too Good to Waste’, required the complete costume to be created from its resources. Everything from shower curtains to crushed glass was utilized to make the costumes, which ranged from ‘The Last Samurai’ to ‘Lady Gar-bage’. After the show, many of the costumes are displayed by various businesses in town, or by the organisations such as YHA (sponsor of one of the categories), or the local museum, so that tourists and locals can see them and be suitably impressed by the imagination and talent of their designers and creators. When the new museum is opened, it is hoped it will have a dedicated Trash to Fashion display. After that, most of the costumes will go back to the Resource Recovery Centre where they will be recycled. As you can see from the above, the Trash Fashion show sits very well in the philosophy of EarthCheck. Most of the resources are locally sourced, are used in an innovative fashion and recycled at the end of the process. For further information about Kaikoura click here. 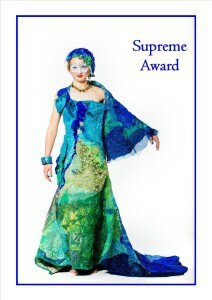 For further information about ‘Trash to Fashion’ show click here. For further information about EarthCheck click here. This entry was posted in Resources, Stewardship and tagged aesthetics, environment, fashion, litter, Marco Sepulveda, sustainable development, trash by Marco Sepulveda. Bookmark the permalink.